The typical Western diet is a deadly one, consisting primarily of toxic and acid-forming foods like processed sugars, artificial sweeteners, refined grains, conventionally produced meats and dairy, and hidden genetically modified organisms. All this, combined with a plethora of other challenging environmental factors (such as lack of rest, psychological stress, and pharmaceutical drugs), mean it's no wonder that more and more people are being diagnosed with chronic, degenerative illnesses or otherwise deadly conditions for which modern conventional medicine claims to have no known cure. One of the basic underlying problems with this unsustainable lifestyle – and there are many – is the average consumer’s lack of understanding that the body must balance the blood's pH levels at a slightly alkaline level of 7.365 in order to survive. When a person ingests food to “burn” for fuel, the digestive and metabolic process transforms it into a kind of ash which is either acidic or alkaline. The laws of modern biochemistry further explain that it is not the organic matter of foods (whether the food itself is acidic or alkaline), but their inorganic matter (such as calcium, magnesium, potassium, sodium, sulfur, phosphorous; that is, how they break down in our bodies), that determines either the acidity or alkalinity of this ashy residue. 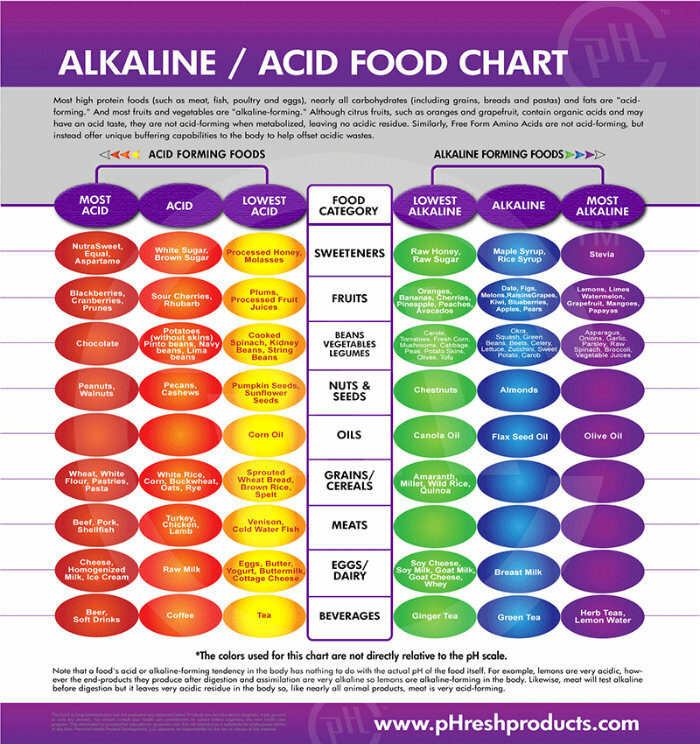 For this reason, and because all foods in nature contain both acid and alkaline-forming elements according to the Conscious Living Center, balance is either achieved or thwarted as a direct result of the foods we choose to eat. Too many acid-forming foods can have dire consequences for our health, with “acidosis” being a common diagnosis in diabetics, for example. This is because when the nutrients required to maintain this slightly alkaline state cannot be obtained from food, the body will instead draw from its own stores, like the bones or other vital tissues – damaging its ability to repair itself and detoxify heavy metals, thereby making a person more vulnerable to fatigue and illness. And the margin for error is small. Even an only slightly acidic pH of 6.9 can actually lead to coma and death. Due to the healing “yang” nature of these foods in traditional Chinese medicine, and their tendency to be more rich in minerals than many other vegetables, it may be safe to say that you can't get enough of them. Look for radishes especially (black, red or white), as well as beets, carrots, turnips, horseradish and rutabaga. Ready to eat after steaming for just 15-20 minutes, root vegetables will help you feel both satiated and better grounded. So it can't hurt to think twice about what's on your plate at your next meal, but not doing so might. Just applying that age-old motherly advice to “eat your vegetables” can be a solid first step in achieving better health.